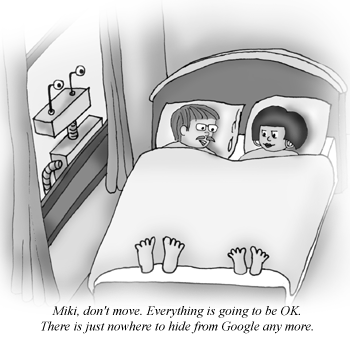 Have you googled your name recently? You might be in for a nasty surprise. If the troublesome search result is something you created yourself, like a blog post or Facebook page, you could remove it. However, it might take some time until Google removes a copy of that information from its cache, so you'll have to do better. And you can. Update that same page and convert it into a page of positive information. Google's search robot will see the changes and update the search index, replacing the old version in its cache since Google wants the latest version of a specific url. Now when people search on your name, they'll find this new positive information instead of the past negative information. If the troublesome search result is not something you created but instead something that was posted about you, contact the page creator and try to get them to at least remove the negative content and ideally, replace it with positive content for the same result described above. However, if the page creator posted negative content about you in the first place, they're probably not going to be very interested in removing it. They might not even respond to you at all. Google's search results are ranked and the credibility and popularity of a url has a big influence on where that url will rank in the search results page. In other words, where the negative information about you was posted will determine how hard it is to bury it. For example, a nasty tweet about you will be easier to bury than a negative mention on a major news site, just like a video rant about you seen by 50 people will be easier to bury than a video that went viral, was featured on YouTube and was shared by thousands of people on Facebook or via Gmail. So your challenge will be to create new content that will OUTrank the negative search result about you, and ideally, push it off the first page of Google's search results entirely. This might not be so easy. Record & upload video or audio to popular podcast directories, like iTunes, or do so directly on popular personal broadcasting sites, like Ustream.tv or Blip.tv. Finally, how did you discover the negative search result about you in the first place? I compiled 200+ Resources and Tips To Help Manage Your Reputation Online so that you can react to negative content about you before it even gets a chance to rank well in Google's search results. Subscribe to JobMob via RSS or email and follow me on Twitter for more ideas on how to look good online. Thanks so much for this post, Jacob! Very good info! I have a question…what do you suggest you do if you have a name that’s somewhat generic. Several people share my name – and let’s just say that some of these people I do NOT want to be confused with. I write a blog and contribute to other blogs (along with maintaining a Twitter page), but sometimes my results don’t come up first. Also, claim your ZoomInfo profile and verify the data. That can help push down any negative results. Sorry. I don’t know how to contact the writer/poster of the article about Google etc… directly, but s/he appears to be a non-native English speaker. This is a typical Israeli error in English. You should write: “Whenever Google… FINDS some unpleasant…”. You have used the present progressive (continuous) unnecessarily. English uses the simple present for general conditions, habits, etc… and the progressive only for some action which is happening NOW (as well as to refer to future events). Ilana, good eyes. I guess the blogger has acclimated well to the country. Jennifer- since the results are about someone else, you’d have a hard time getting them removed by request. In that case, your best option is to try and bury the other Jennifers’ results with new positive information so that at least on the TOP of the first page of search results, the results are relevant to you only. It won’t be easy to get the entire 1st page- I think Google is smart enough to recognize that multiple people are being mentioned and specifically wants the viewer to have the option of choosing which person they’re looking for. Ilana- thanks for the correction! The article was now updated. I always laugh when I see how my English is getting worse since I left Canada. Thanks so much, Josh! I really appreciate your response. EXCELLENT post, Jacob! And, it also applies to the situation where the negative stuff is not about you, but IS about someone else with the same name. Given that 79% of employers Googled job seekers in 2009, but only 29% of job seekers worried about it, this is a big problem that people don’t know they have! Searching yourself is important at every level.